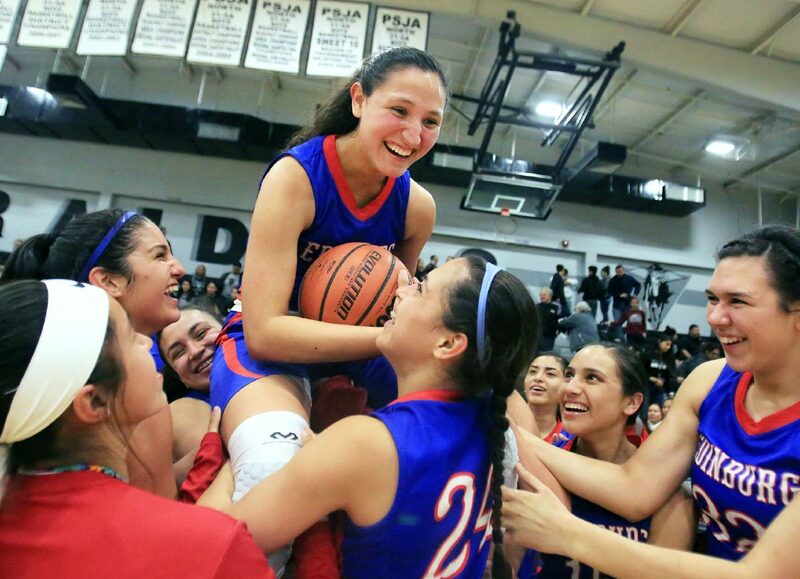 Edinburg High's Jayla Santa Maria is lifted above the shoulders of her teammates after reaching her 2000th point in her high school career against PSJA North in a 31-6A basketball game at PSJA North High School Friday, Jan 12, 2018, in Pharr. Six dominant scoring threats comprise the group of nominees for Boys Basketball Player of the Year and Girls Basketball Player of the Year. The winning individuals will be announced at the 2018 All-Valley Sports Awards Banquet on June 19 at Mario’s Banquet & Conference Center in Mission. All-Area Defensive Player of the Year Jocy Amaya of Rio Grande City. Player of the Year, PSJA North's Daunte Galvan, poses at Edinburg Vela at Edinburg Vela High School on Thursday, March 22, 2018, in Edinburg. >> Andrew Carrizales, Los Fresnos: Carrizales had a breakout season for the Falcons, leading them in scoring with an average of 14.2 points per game along with 8.3 rebounds and 2.0 steals. He was named the District 32-6A MVP and earned an All-Star nod. 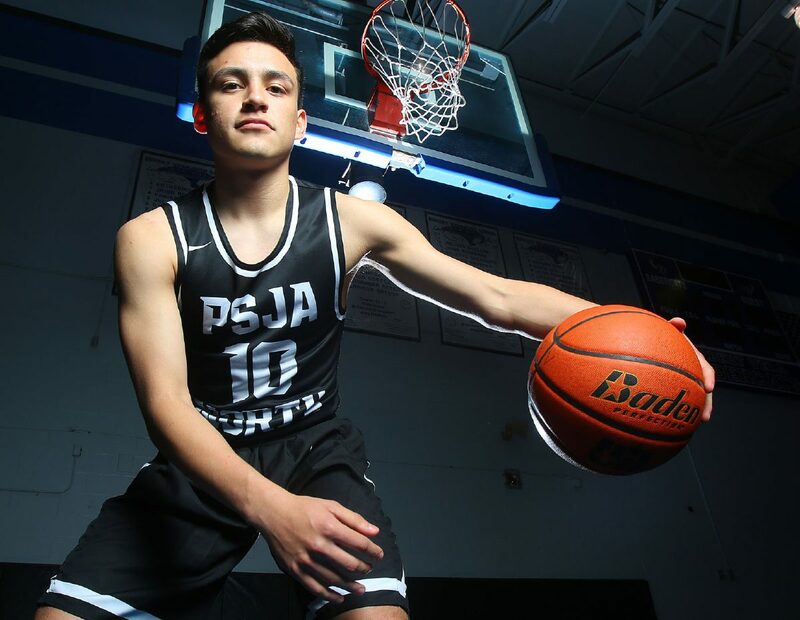 >>Daunte Galvan, PSJA North: The versatile junior guard scored more points per game than anyone from the Valley has since 1997. He averaged 28.6 points, 7.1 rebounds, 3.8 assists and 3 steals. Galvan made 277 free throws this year, which ranked fourth in the nation, according to Maxpreps. >> AB Lozoya, Santa Rosa: The senior point guard helped guide the Warriors to a second straight state tournament appearance. He scored a career-high 40 points in a playoff win over Corpus Christi London and dropped 34 points in a regional final win against San Antonio Cole. 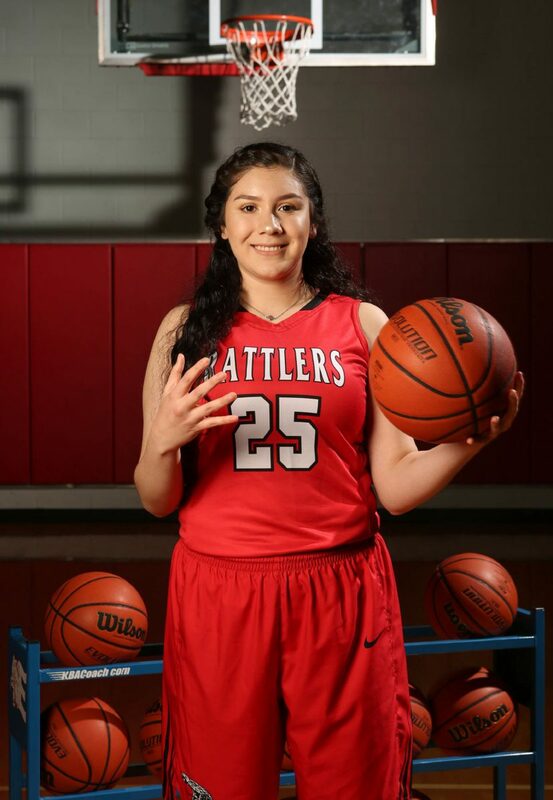 >>Jocy Amaya, Rio Grande City: Amaya was a tour de force who carried the Rattlers into the second round of the playoffs this year. She led the Valley in scoring with 24.1 points per game but did a lot more than put the ball in the basket. Because of her 9.7 rebounds, 3.4 blocks and 3.0 steals per game, Amaya was tabbed as The Monitor’s All-Area Defensive Player of the Year. >> Mia Paz, Brownsville Hanna: The junior guard continued to be a dynamic scorer and accomplished a couple milestones this season. She had a 50-point game and reached 2,000 career points within a span of a few weeks during the middle of the season. Paz was one of the top scorers in the Rio Grande Valley and finished with 23.3 points, 4.1 rebounds, 2.1 steals and 3.0 assists per game for the year. She earned first-team honors in District 32-6A and earned The Brownsville Herald’s All-Metro Offensive Player of the Year award for the second consecutive season. >>Jayla Santa Maria, Edinburg High: The senior scored a career-high 747 points for the Bobcats, who spent much of the season ranked as the No. 1 team in the RGVSports.com girls basketball Top 10 poll. Santa Maria also earned The Monitor’s All-Area Player of the Year honors in April.